I’m delighted that my next book with William Collins will be on our relationship with British predators. The idea is to explore the natural history of some of the main ones in the UK and Ireland – fox, seal, badger, crow, cormorant, buzzard, pine marten and so on – and to look at how we live alongside them. It is early days and I am excited about meeting these creatures face to face and to spend time in their world. All of them are fascinating and beautiful animals in their own right. I will talk to scientists working on them, conservationists trying to help them, but also to those who find their presence difficult and challenging. I will spend as much time with game keepers and farmers as I do with NGOs and campaigners. I say excited, but I am also apprehensive. There is little else in the environmental world that ignites as much passion as predator control. This one issue can divide people who would otherwise happily get along. Should we shoot foxes to protect ground nesting birds? Should badger numbers be reduced to help hedgehog numbers recover, as well as halt the spread of bovine TB? Are fishermen right to get hot under the collar at the sight of a cormorant’s nest on a favourite stretch of river? And what about seals eating salmon and lobsters in Scotland – is it prudent to shoot them? Even writing these worlds I can feel the tension rising, but the only way to bring balance to these issues is to lay out the facts. We must work from the reality on the ground, and from science, not from pure emotion; but that is easy to say and so much harder to do. The problem (or is it advantage?) for me is I see things from all sides. My training as a BBC producer is now ingrained into my DNA. I want to explore all the aspects of an argument and to present what I see as a balanced assessment. There is so much noise around this debate with entrenched and bitter divisions getting worse year on year, it is hard to see the wood for the trees. Twitter, Facebook and Instagram, the social media I use, are full of anger and finger-pointing. I can understand this, but on their own they won’t solve anything. Over the next few months I will be travelling around the country visiting nature reserves, farms, game shoots and National Parks to meet the predators and see where they fit into this complex, multi-use landscape we have created. I want to really understand their place in the landscape and how they are part of the ecology, but also tease out why it is obvious that in some places there is an imbalance. Over 70% of the UK is farmland and everywhere is managed for our needs. Wild, untamed landscapes no longer exist in this crowded but wonderful collection of islands off the west of Europe. How we will incorporate predators into our lives is a big issue and I am looking forward to meeting some of you, I hope, as I try to make sense of a heated debate. Mary Colwell is a producer and writer specialising in natural history and the environment. Her articles have appeared in The Guardian, BBC Wildlife Magazine, Country Life and many other publications. She has made documentaries for the BBC Natural History Unit for TV and radio. 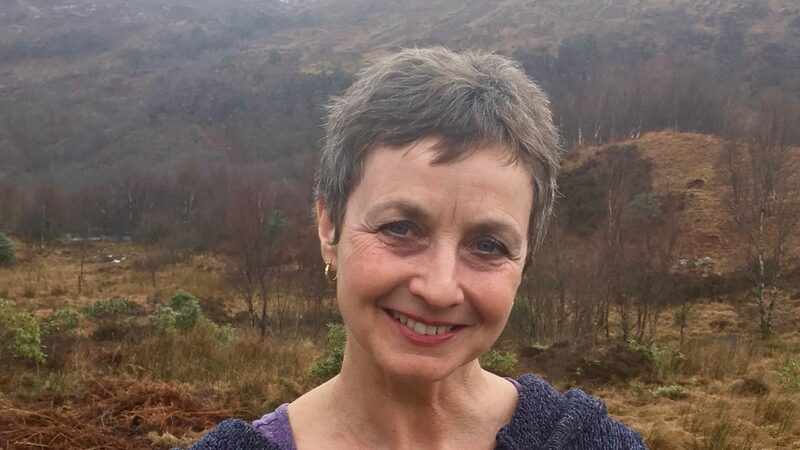 She has published two books: John Muir – the Scotsman Who Saved America’s Wild Places in 2014, and Curlew Moon in April 2018. In 2009 she won a Sony Radio Academy Gold award and in October 2017 she was awarded the Dilys Breese Medal by the BTO for services to conservation and the David Bellamy Award from the Gamekeepers’ Association for her conservation work on curlews. She was cited in the top 50 most influential conservationists in the UK by BBC Wildlife Magazine. MUIRBURN: CARBON LOSS OR CARBON GAIN?